This is the scene from VR Cosplay X I've been waiting for, Dani Jensen and Stephanie West doing a scooby doo scene is incredible. You can say that scooby would love to give both of those beauties a lick. Lol! Life as a ghost is a lonely existence. Being stuck betwixt the realms of the living and dead gets pretty dull. So when you see the Mystery Machine pull up to your driveway, you get pretty excited. 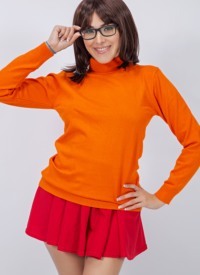 Velma and Daphne are on the cusp of solving a new mystery and all you want to do is help out a bit. As it turns out, they have quite jumpy dispositions. 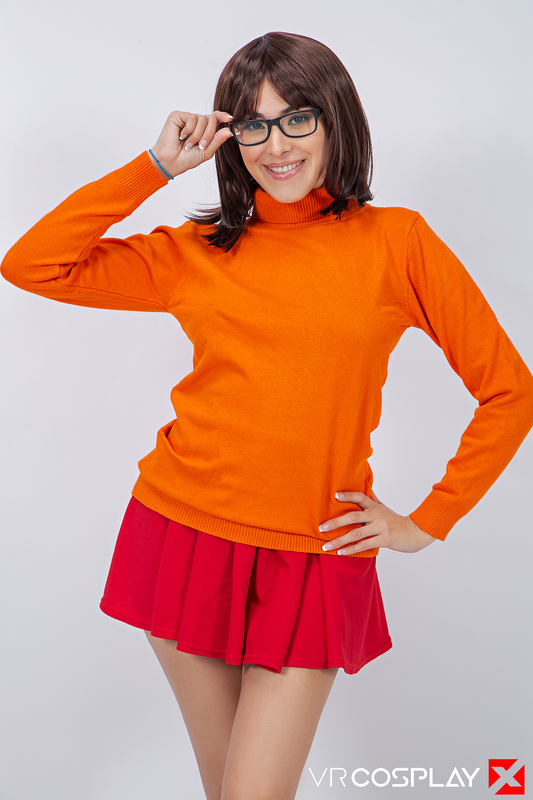 After chasing them through your haunted house, Velma loses her glasses, and when she's looking for them, she finds herself with her hand on Daphne's thigh.